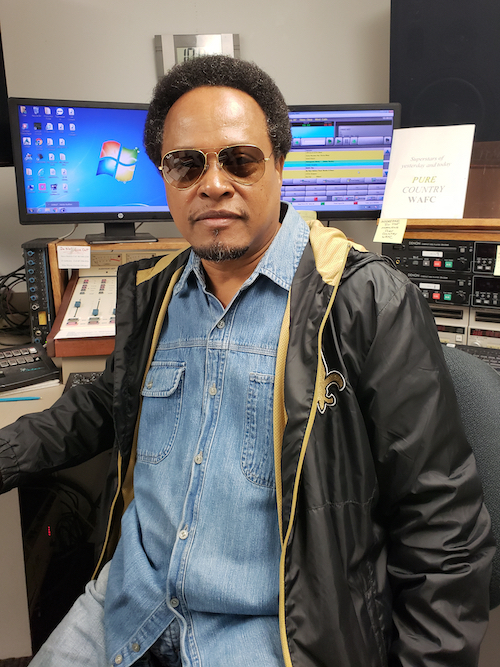 D’Anthony started in the field of professional broadcasting at the tender age of 14, as an announcer for his high school broadcast team. As the black sheep of the family growing up in New Orleans, he spent most of his time eatin’ crawfish, gumbo & red beans & rice. D’Anthony says he would often skip PE class and sit in the bleacher’s talking into his portable tape recorder describing the action. Having worked in New Orleans, Baton Rouge, Atlanta, Orlando and now South Florida, radio has been a life long adventure. All I need is my Saints football, my dogs, and my radio.